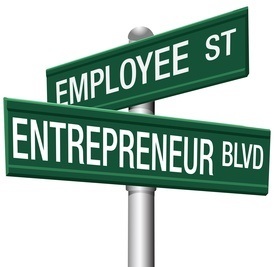 Most small businesses are started by individuals who work a regular job while launching their startup. Running a side business is a time-honored tradition. Unfortunately, most entrepreneurs go about this tradition the wrong way. This often creates problems at the office – jeopardizing the steady salary that your job brings. This short article covers some of the basic rules of starting – and running – a side business while you have a full-time job. By the way, I speak from experience. I started my company while I was employed full time. Thanks to some careful planning, I managed to operate my startup “under the radar” until I was ready to jump ship. This approach afforded me a smooth transition from being an employee to being an entrepreneur. If I had to summarize all these rules, I’d say “Keep it ethical.” Be sure you treat your employer and your boss with respect. The most important rule of running a side business is to make sure that it does not interfere with your job. In an ethical sense, you owe your employer your full attention and you should do a great job for them. In a practical sense, your employer is providing your paycheck and livelihood. Don’t jeopardize that. Strive to keep separate hours between your work and your business. I used to work a regular 9 – 5 job, so I know first-hand that this separation can be very difficult – but not impossible. I used to wake up very early so that I could get business done before leaving for the office. Likewise, I used to work late into the night. And if I had to meet with a client, I’d schedule a meeting for coffee after work. I simply asked them “We’re both busy – why don’t I meet you for a coffee at Starbucks at 6 pm?” I used this approach for a full year without major problems. Running your company out of your work office is bad form and probably very unethical. Also, running your company from the office also exposes you to the risk getting fired. Losing your job prematurely, in itself, could ruin your chances of successfully launching your startup. If you must make a business call during the day, wait until you have a break. Even then, leave the building and make the call outside. To some this rule may seem a bit extreme, but it allows you to keep things completely separate. Also, it ensures that your call remains private. Obviously, handling meetings is trickier than handling phone calls. If you must go to a meeting during business hours, consider taking some time off. This rule is obvious. You should never use your employer’s equipment and supplies to run your business. Period. This is unethical. Breaking this rule is grounds for immediate termination. Make sure that your business does not compete with your employer’s business. If it does, consider stopping your business or quitting your job. Unfortunately, competing with your employer while working for them is unethical and will taint your reputation permanently. Furthermore, since most companies make employees sign non-compete agreements, you could get in serious legal trouble if your employer catches you operating a competing business. Some entrepreneurs like to boast to their coworkers about the fact that they own a side business. Keep your business private. Telling your coworkers brings no tangible benefits and it increases the risk that your boss will find out. By the way, you should also resist the urge to immediately tell your coworkers about your business after you quit and start working at your venture full time. Some of them may resent the fact that you were operating a side business while you were employed. I am not saying you should hide it from them or operate from the shadows. Not at all. If asked directly, answer directly. Just don’t flaunt it. Once you are ready to quit your job and go full-time with your business, be sure to quit with grace and style. Don’t be the person who insults their boss and tells them to “take this job and….”. Aside from being in bad taste, it’s also dumb. Most businesses fail, so your chances of success are not as good as you think. A day may come when you actually need your boss to write you a nice letter of recommendation. Instead, do your best to leave on great terms. Thank your boss and your employer for the opportunity that they provided you, and wish them well.